John Bateson is an Associate Lecturer for MA Graphic Branding and Identity at London College of Communication. John is acknowledged as an expert in the field of brand communications. His highly creative work has been exhibited and published in a number of key reference books on branding and design that include The Best of International Corporate Identity, Great British Editorial and Marks of Excellence. He is a commercially successful practitioner and for a large part of his career worked as Partner and Creative Director at high-profile creative consultancy, Roundel. Under his influence, Roundel grew its expertise to embrace retail design, packaging and promotional communications that earned over fifty five D&AD awards and other prestigious awards. John has been a judge for D&AD as well as achieving Awarded Member status. He has served as a Director of the Design Business Association, is a Fellow of the Royal Society of Arts, a Fellow of the ISTD and is the UK Liaison Officer for the Type Directors Club (TDC) New York. 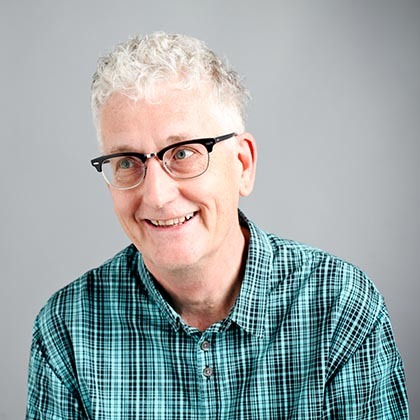 An international ambassador for his specialism, John is currently President of The Typographic Circle Association and is twice winner of the Design Challenge at the International Conference for Universal Design in Japan. View the MA Graphic Branding and Identity course page.